January 30, 2019 By Editor & filed under Blog. We are so excited to introduce Chris Davidson, a National Quilters Circle Ambassador! 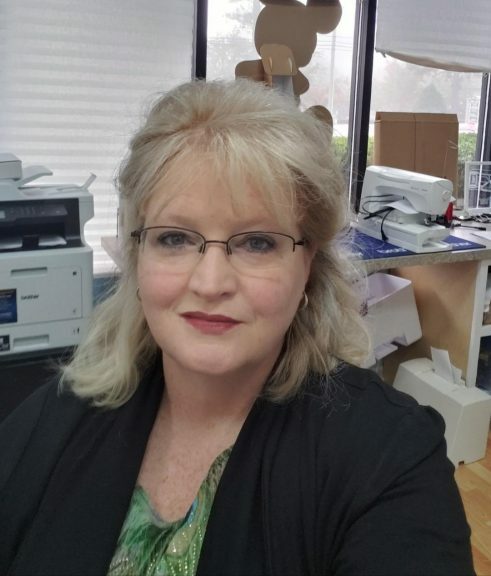 Be sure to connect with Chris on her website Memories in Stitches, on her Facebook page, and Instagram. 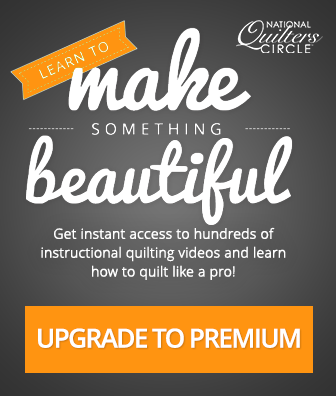 Think you have what it takes to be a National Quilters Circle Ambassador? Apply here! Check out our question and answer with Chris below! How long have you been quilting, and who taught you how to quilt? 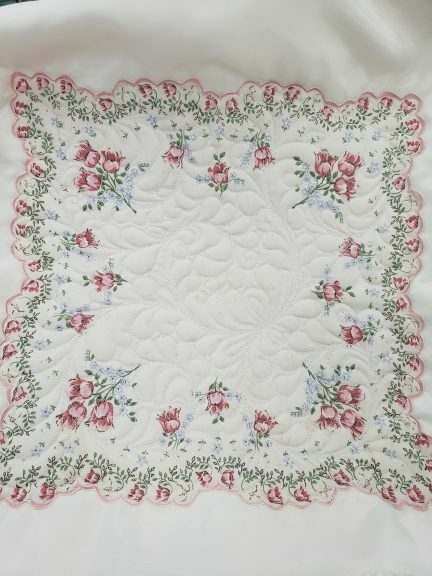 I started my quilting journey in 1993 while living in England. It wasn’t until I returned to the US in 1994 that I really got my feet wet and then hooked! 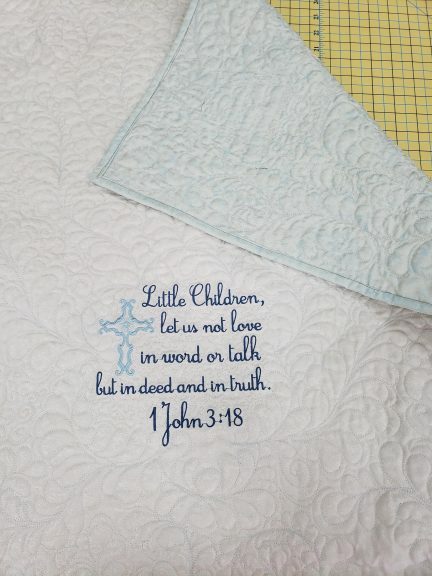 When a group of ladies in my church started a quilting group, I jumped right in and haven’t stopped since. 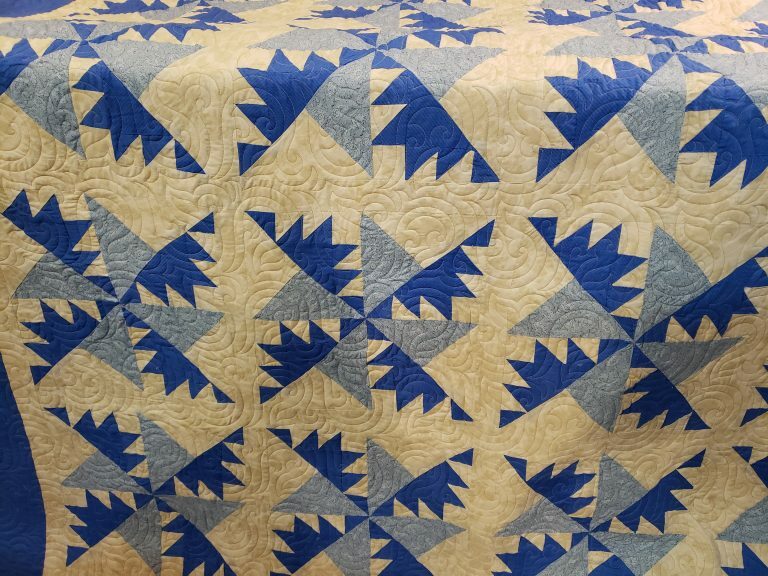 What was your first quilting project? My first quilt was a sampler, I still have to this day. I am still sew proud of it. I am currently working on a disappearing 4-patch quilt in the Moda Cherry Blooms line. I was commission by a USAF gentleman that was on a one-year remote assignment in Korea. We are also adding in Korean designs. This is way of thanking her for taking care of their family while he was away. I am so honored to be doing this for them. What project have you been most proud of? 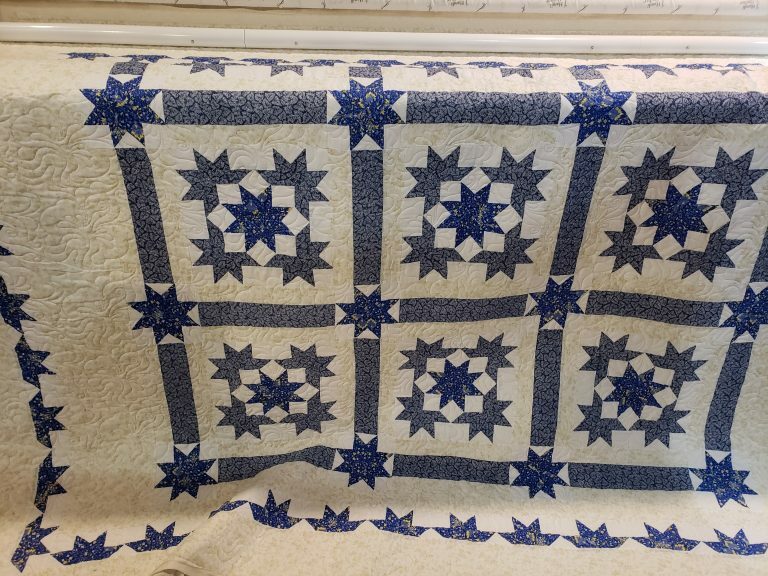 I originally wrote about my two quilts, one that made it into the Quilt Makers Magazine and the other was a quilt that I custom quilt for a customer that won in a local quilt show. As I have really thought about this, I don’t know that I am “proud” but honored and given the privilege of all the Gold Star Memory Quilts I have made for many fallen Soldiers. What kind of sewing machine(s) do you have? What’s your sewing room like? My Sewing room, that is funny, I use to have such an awesome sewing room. Now it is full of moving boxes that are still waiting to be unpacked! I now have two quilt shops that I do almost all of my sewing, embroidery and quilting in. I bring things home to work on and have my front room as my sewing room now. 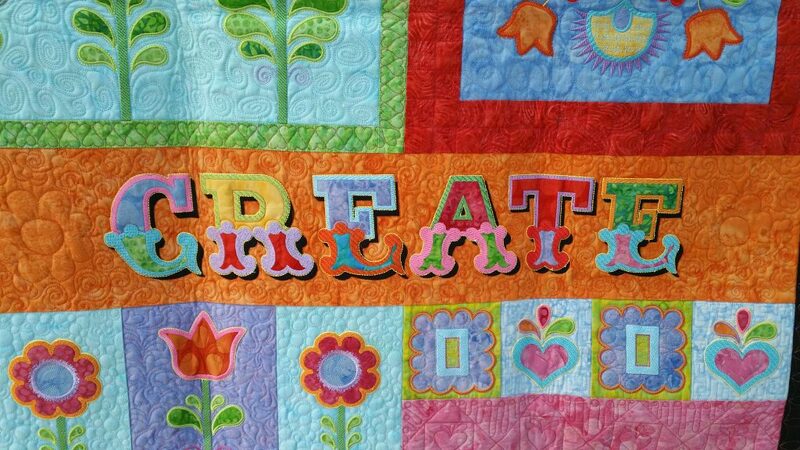 If you could create your dream quilting space, what would it be like? Oh, that is a tough one. I love the mountains and water, so that would be my ideal view. I would love to have one wall turned into my design wall and have all of my machines in one room with all my little stations that I use to have in my previous home. Outlets galore! 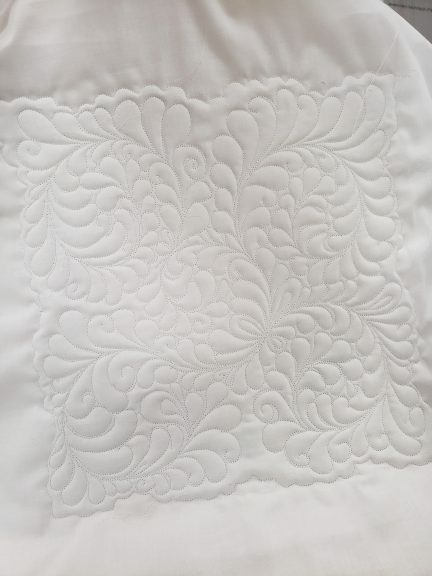 What quilting tip has changed your life? 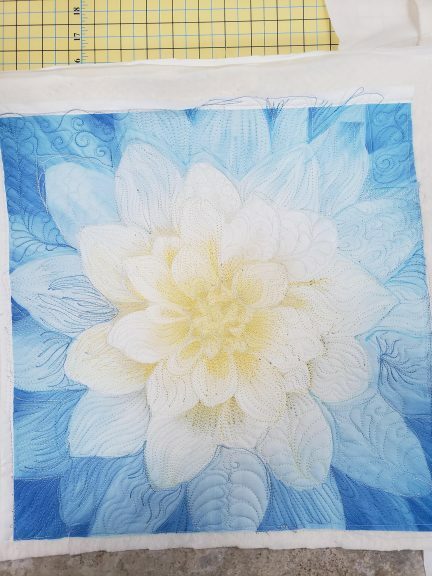 Fabric painting! Oh I am in love with that! I have also started teaching the Tucker University in my shops. I love the Deb Tucker/Studio 180 rulers and technique sheets. I have been able to go in different directions with my personal quilts now with these rulers. I have also been learning new quilting techniques on the longarm and really starting to my personal spin on my own designs. What’s your favorite type of fabric to work with? Quality fabrics and batiks. I like them all. I am a traditionalist, but I am expanding in the batiks more and more now. What would you say to someone who’s just getting started in quilting? Take your time and have fun learning the process. Don’t put a lot of pressure on yourself to be perfect nor compare yourself. We all start at the beginning. Learn more about Chris on her website, Facebook, and Instagram.